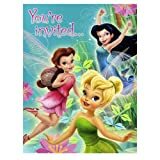 Invite your child's friends to come to the party with the use of Tinkerbell invitations. 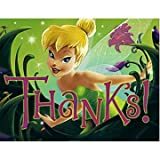 How to Make Tinkerbell Scroll Invitations? Make everything appear magical for your child’s birthday celebration and this includes the invitations. 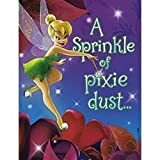 If the invitations seem to be magical, the children will be excited as they will feel like being one of those real fairies, princesses, and pirates. 1. Lay out your invitations in the computer. Put the picture of your daughter. 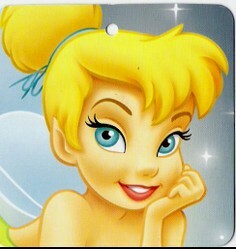 You are also opted to put the picture of Tinkerbell only or to include the other fairies. 2. Print the invitations to your lavender and scented paper according to how many guests you will want to invite. 3. Add a style to both sides of the paper. Light the candle and slightly burn the sides through the fire. Be careful in doing this because you may burn the entire paper. Make sure that the children will not also be doing this as fire can cause danger to them. 4. To add the glitters, you can put liquid glue to the paper. You can form stars, circles, or even hearts; but just make them small. Add the glitters on top of the glue. Slightly tap the paper so that the excess glitters will be removed. Let it dry for couple of hours. 5. Get the sticks. Do not just use any ordinary stick. It will be best if the sticks have styles at the edges. You can try to search for these at any craft stores. 6. Put the stick at the upper part of the paper. To secure them, put small amount of glue stick with the use of a glue gun; and, you can join them together. Do the same on the bottom part of the paper. 7. Get a puncher and make a single hole to each printed paper with the names of the guests. Insert the ribbon into the hole. 8. Roll the paper and add the ribbon to secure it. If you want the ribbon to stay in place after the guests open the invitation, you can attach it with the use of a glue stick at the back of the paper. 9. Make enough of these for your guests and you can start giving them your scroll invitations. Pink and lavender colors of the papers and the ribbons will look good together. And, they match the Tinkerbell color. However, you can also choose your own favourite colors. You can add these wordings to make the party sounds more exciting to the kids.
" Prepare your magic wands and beautiful dresses. Be part of this fantastic gathering of the fairies." "Prepare to fly as Tinkerbell will take you high. Feel her magic dust that's why your presence is a must." " Dream high. Go fly, fly as Tinkerbell will bring you a contented sigh." I'd like to hear from you. Share your comments.